Hello! It’s been a while, hasn’t it? Since I last wrote I’ve been busy with music things – first some concerts with Con Tempo quartet, then with my saxophone partner, then competitions, then playing for exams. All of these things are not hectic in themselves but when you add in a normal working week, it’s a bit mental. Anyway! Everything went well and come Easter, we headed to Japan. We’ve been talking about going there for years now. When we first discussed it, the yen was very strong and it was too expensive to go for any satisfactory length of time. Now, things are different with rates as good as €1 to ¥135, and it became clear that we had to take our opportunity. We spent the full two weeks of Easter break there and returned late Saturday night. As luck would have it, my phone broke on the first day, which is why I didn’t share any photos whilst on the move. So what I’ll do is, as I work my way through them, I’ll share little groups of pics and share what we got up to and what it’s like. We travelled around a lot. Tokyo in itself took a full five days. We went north to a smaller place called Kanazawa where we caught the end of the cherry blossoms. Then west to Kyoto, from where we travelled on to places like Nara and Hiroshima on day trips. As I am in the throes of unpacking, allow me to share some spoils that I brought back. I did a lot of research while I was there to try and find things unique to Japan – most main stream things are the same as at home. 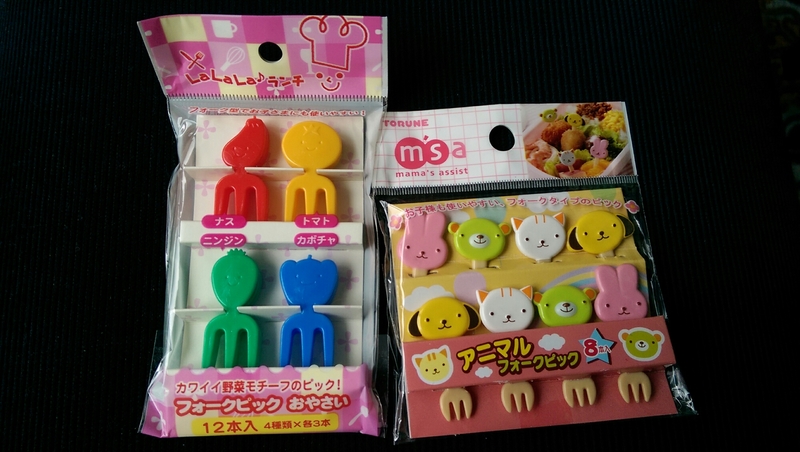 I got some rice moulds as well, since they are expensive to buy online. You know how much I love bento so this place was a lot of fun! 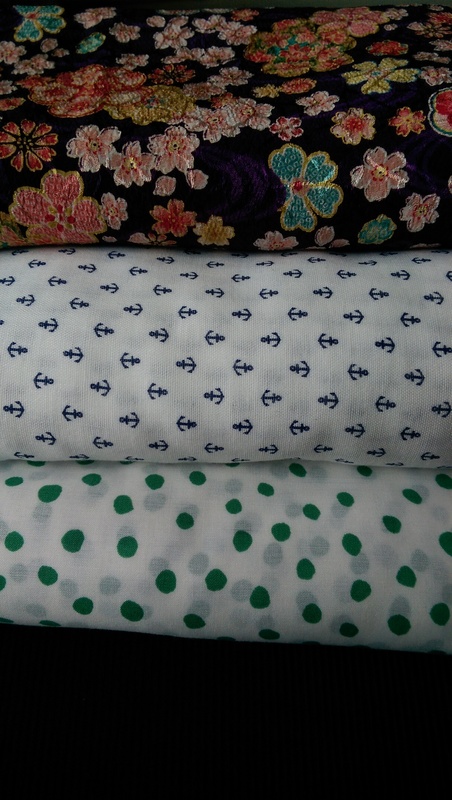 From the bottom up, the spotty green is a sheer rayon, enough for a top; the anchors is a cotton lawn, enough got a dress obviously! 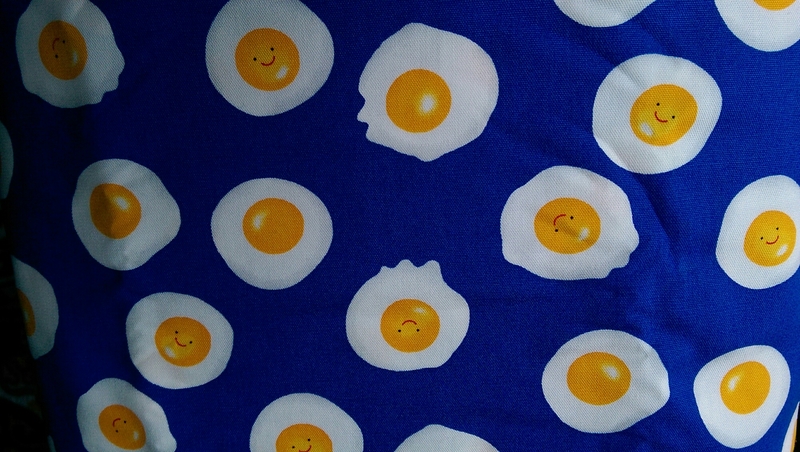 ; and then a glossy polyester in the most subdued Japanese print I could find. It’s still a bit crazy but I think it’ll make a nice dress. All of this I got from ‘Tomato’ for about €30. 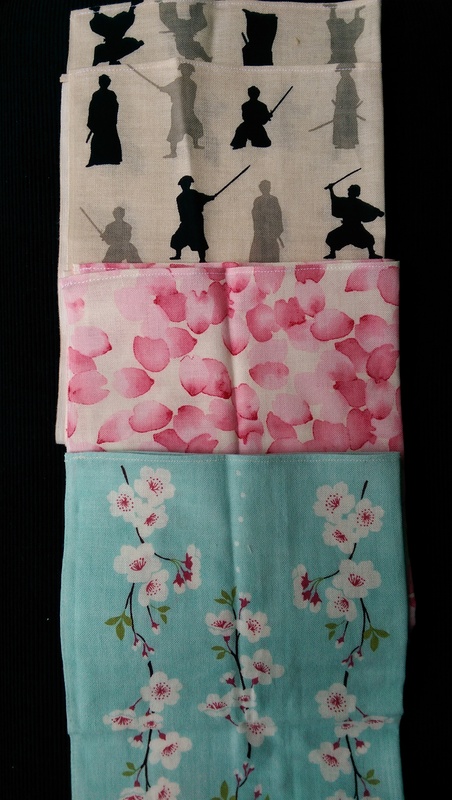 In Kyoto, I found these in a tiny little shop hidden behind a curtain near the Ninja temple (yes, for real). I thought they were fat quarters but they’re hemmed hankies! Lastly, the mandatory silly print. I think I need a new kitchen apron…although a summer bag would be pretty amazing too, right?! 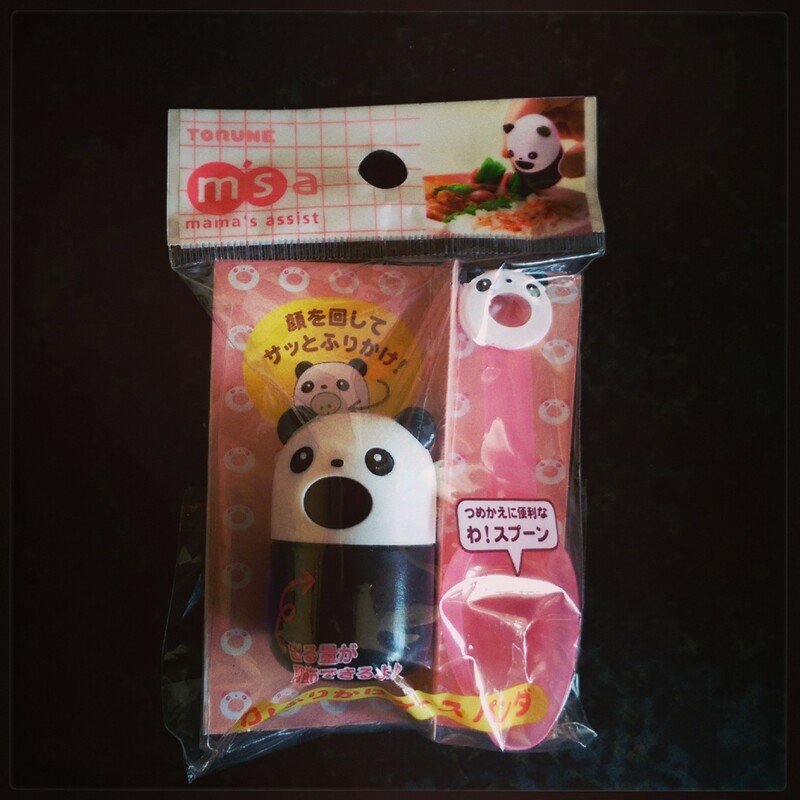 I got one more small thing in Kyoto that is very special so I’ll save that for a post of its own! It’s great to be home but I’m wrecked. I walked a pair of shoes apart.